Things have been so crazy around here! 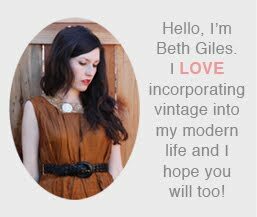 As I'm sure you have noticed, we have this lovely new website and blog, THANK YOU Rachel, of Ironwood Design Studio, for doing a fantastic job and meeting my every little request to my exact specifications. We are also transitioning to a white background for photos, still working out the kinks on that, Our clothing and jewelry was featured last week in People Magazine and Taylor Swift has been seen around town in our necklaces. We've got something bigger coming at the end of the week, hopefully I can tell you soon! In the midst of all of this, Halloween happened, and somehow I was able to pull off a last minute costume for Ruby and I. 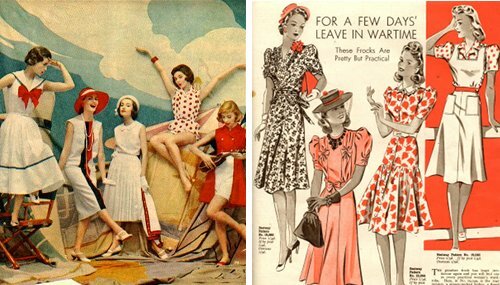 That's the beauty of having a vintage shop and way too many things collected over the years. 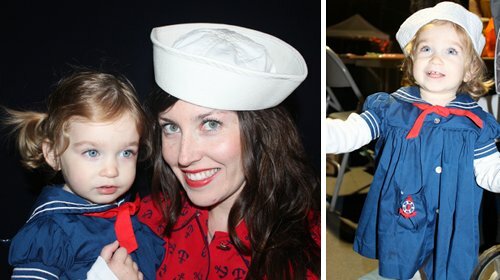 Ruby wore my vintage sailor dress from when I was her age and I wore a nautical 40's inspired dress from the 80's, which will soon be available in the shop. 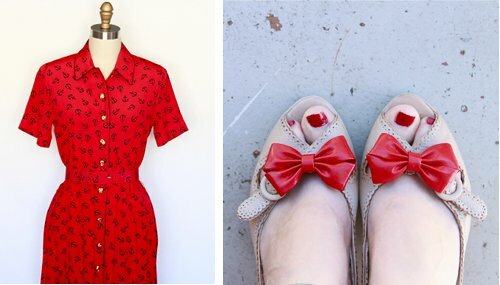 I found some red shoe clips that I added to some pin-up style shoes I had. Ruby's hat was thrifted and mine was given to me by a sailor many years ago. :) Here are some of my inspirations and photos of us.